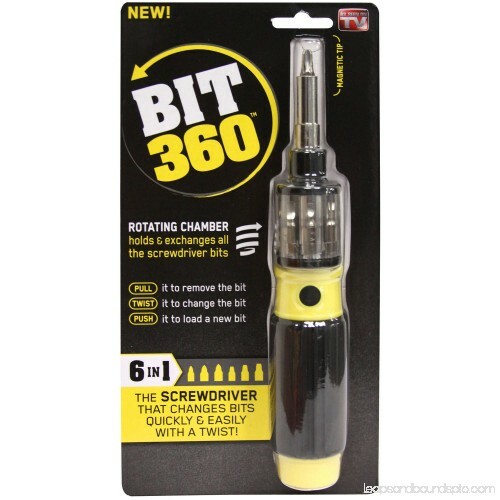 The As-Seen-on-TV BIT 360 Screwdriver is an easy-to-use tool everyone should own. 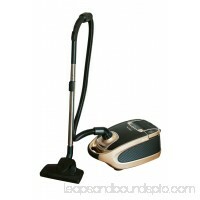 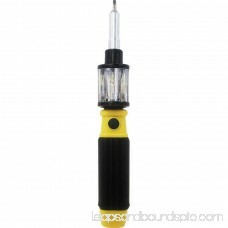 Whether you are a professional or a weekend warrior that likes to do their own repairs, this item will prove an invaluable addition to your collection. Changing out bits is a simple process, all you have to do is twist to remove and then twist on the bit you want to replace it with. 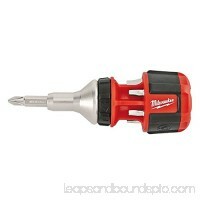 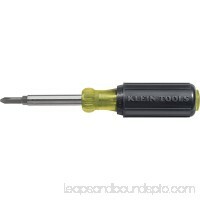 The secret to this magnetic tip screwdriver is the rotating chamber that holds six different bits, preloaded and ready to use. 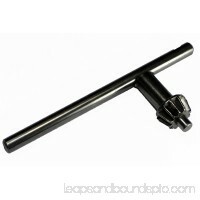 Just pull to remove the bit from the tip holder, twist to select the desired bit and push to load the selected bit and it's ready for use. 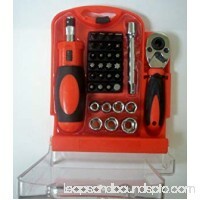 You can even use the bits that you already own. 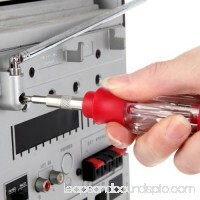 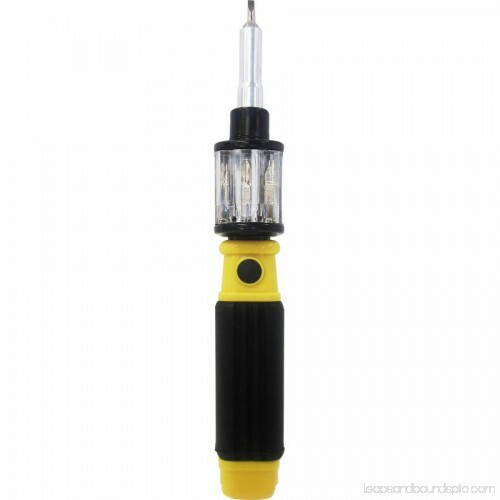 This As-Seen-on-TV screwdriver comes with a removable chamber that makes it easy to switch the parts around while its magnetic tip helps to hold screws in place while you work. 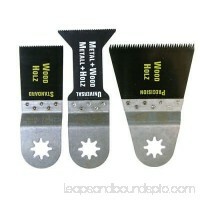 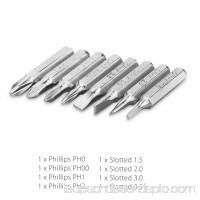 The set includes six common screwdriver bits: Phillips #1, Phillips #2, Phillips #3, Slotted #3, Slotted #4 and Slotted #6.